If there’s something absolutely no one other than Elon Musk woke up this weekend thinking, it is “Elon Musk should release a rap single about Harambe, the tragically slain gorilla that became a meme nearly three years ago, after which said meme subsequently got treaded into the ground, and more than a few people began noting it might actually have been kind of racist.” Unfortunately, that is what he did, because Elon must. Released under the fictional rap label “Emo G” (sigh), Musk tweeted out a link to an auto-tuned song about the late gorilla hosted on Soundcloud, which thus technically makes him a Soundcloud rapper now. I don’t know a lot about music, but I can safely say I am confident after listening to this song that Elon is not going to be headlining the next Super Bowl halftime show. Musk does drop such bars as “RIP Harambe/Sipping on some Bombay/We on our way to heaven/Amen, Amen” and “RIP Harambe/Smoking on some strong/In the gorilla zoo/And we thinking about you.” I note this so that no matter whether you choose to listen to this track, as I did, you will not be able to escape this entirely and share some of my suffering. This outpouring of distaste is almost certainly what Musk intended on some level, but also very much not in any way that redeems it on the rating scale I just made up in my head. In conclusion, I rate this at two out of five enraged fanboys yelling “I’m Pickle Rick!” in a McDonald’s. In other Musk-related news, his ongoing fight with the Securities and Exchange Commission over his habit of tweeting out inaccurate information about Tesla even after signing a settlement agreement is scheduled to escalate yet again this week. The court hearing where a judge will decide whether to hold Musk in contempt for allegedly violating the agreement is scheduled for April 4, according to CBS News. 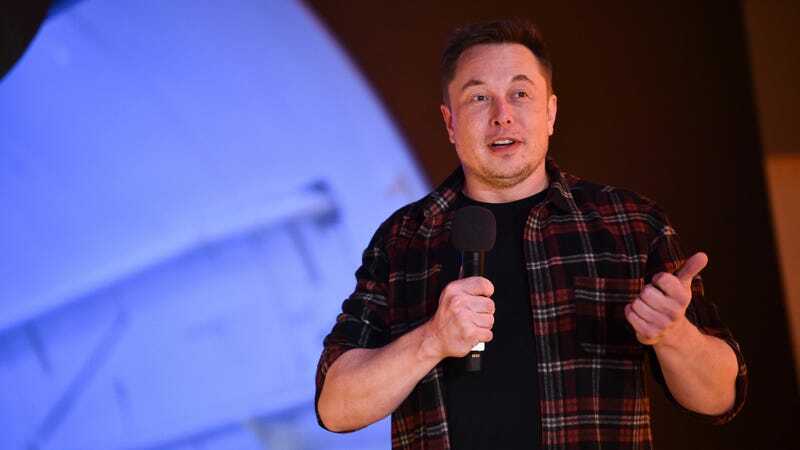 Possible consequences if he fares poorly there could include further fines, new court-ordered limitations on his social media use, or possibly even his removal as Tesla CEO.